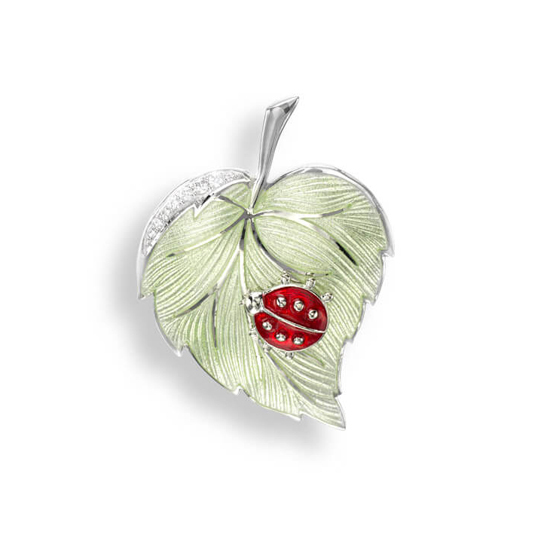 Sterling Silver Green Ladybug Leaf Pin - Pendant Set with White Sapphires. Rhodium Plated for easy care. By Nicole Barr Jewelry.